Download Corsair Voyager/Survivor Recovery tool .Repair Corsair 32GB-64GB GTR FW IT1167 and IT1168 chip controller for free now . 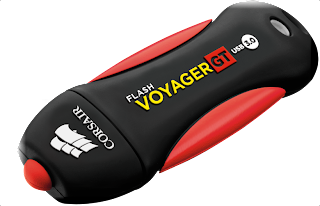 Hello My friends , Today we will explain how to repair Corsair 32GB-64GB GTR FW IT1167 and IT1168 chip controller .If you have Corsair Voyager or Survivor USB flash drive and you have formatting problems with it , here is the solution .I gather all possible recovery tools for Corsair USB stick .Just follow the instructions and repair tips below .Note Some software of this folder support the following chip vendor "IT1167 and IT1168 " . How to repair Corsair 32GB-64GB GTR USB flash drive ? Download The Corsair Format software zipped file ( it contains all possible format software for Corsair 32GB-64GB GTR as you see in the previous picture ). Insert Corsair 32GB-64GB GTR USB stick on your computer . Click format to begin updating your flash drive firmware , look to the following picture . 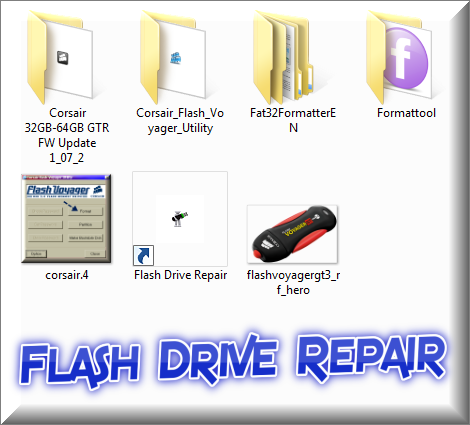 Try the software in the zipped file one next one until you fix your Corsair flash disk .